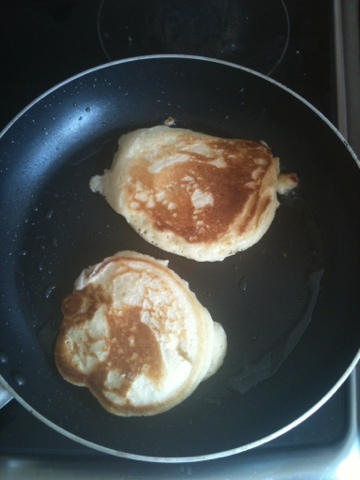 For me if I had to choose breakfast over lunch there would be no contest I just love breakfast if you make an occasion out of it that is....so for me there is nothing nicer than a fluffy stack of American pancakes with crispy bacon and maple syrup YUM. Whisk the egg, add the milk and then combine with your dry ingredients and whisk enthusiastically for a moment or two until your mixture is bubbly. In your frying pan pour a small splash of oil. 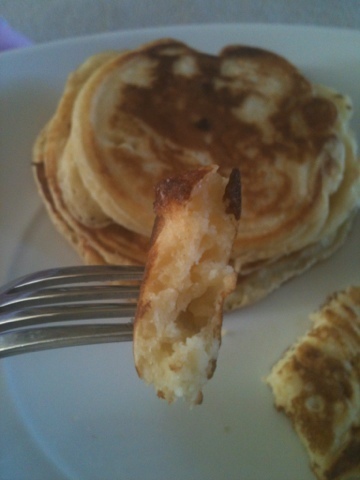 use a mild oil like sunflower or vegetable so the flavor does not overpower the pancakes yummyness. 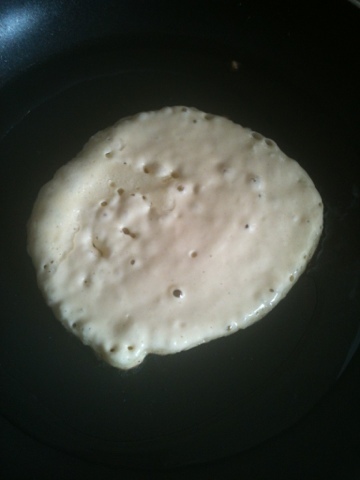 With a ladle pour out a small amount of the mixture at a time so each pancake turns out the same size. If their to big they can taste quite doughy so if you keep them small they are browned on the outside but super fluffy on the inside.